A Free Holiday Game From Amazon – and More! 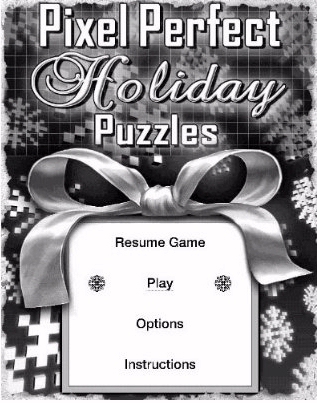 The new game is “Picture Perfect Holiday Puzzles,” and within four hours of the announcement, it had already earned 208 “Like” votes and drawn 35 enthusiastic comments. (Like the woman in Minnesota who posted “OMG! OMG! OMG! This is my all time FAVORITE Kindle game, I’ve been waiting for a Part 2 forever!! YESSSS!!!!!! !”) This makes the 14th free game that Amazon has released, and it’s a “sequel” to a free game Amazon released in July called simply “Picture Perfect Puzzles”. In both those games, users try to form a picture by darkening all the correct squares in a grid, making logical deductions from clues showing the number of squares that need darkening in each row and column. But several more new games have also been released for the Kindle in just the last month. 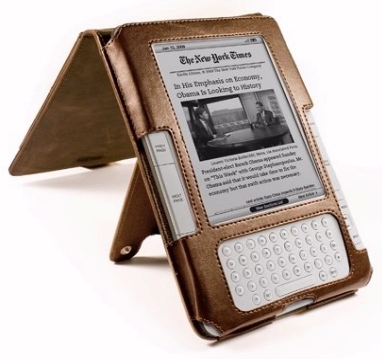 In October Electronic Arts unveiled a Kindle version of the popular “Trivial Pursuit” game. (When the board game version was first released in the early 1980s, it sold over 20 million copies in just one year, according to Wikipedia.) The new $4.99 Kindle version — called “Trivial Pursuit: Master Edition” — still has the same familiar board design (a six-spoked wheel), and your score is still tracked using the wedges of a pie. Some Amazon reviewers are complaining that there’s too many “Entertainment” questions that have slipped into other categories — but the game’s description on Amazon promises there’s 1,500 new questions — and you can play the game by yourself, or with others using the “pass and play” mode. I’ve always thought of the holidays as the perfect time to take some time off and play. And now it’s finally possible to do some of that playing on a Kindle!